The development of globalization era bring out lots of changes in human living aspects. The globalization has been created the modern technology and discovered internet as the compliment in life. There are many advantages to internet usage. One of these advantages is the movement from the manual market into the digital market by using the digital purchase. As we know, the economy atmosphere in the world shows the improvement for one decade latest. The digital transaction becomes the trend for people, because of more practice, effective and efficient. The digital transaction relies on the internet network in operation. The problem is coming when the seller can’t provide the trusted logistics and transportation. Then, the digital transaction present and able to change the cash currency into digital currency through the application by doing a top up for user wallet. Besides that, the discovery of blockchain technology also can support global trading in the world. This condition makes some companies in this world innovate in creating the brand to facilitate and promote the digital world for the public. The blockchain technology exists as the strongest case for the logistics and transportation matter. The blockchain technology can make the decentralized transparent transaction. The blockchain technology connects the product into a customer by logistics link — moreover, this technology work as revolution power for modern supply chains management. Based on World Economic Forum data, the global trade which is using the blockchain technology can improve up to $1trillion. Then, the existing of blockchain itself makes several companies creating the solution for logistics and transportation problem. One of them is EndChain. EndChain is working in a logistic chain which focuses on transferring the good from the manufacturer into reseller and customer. 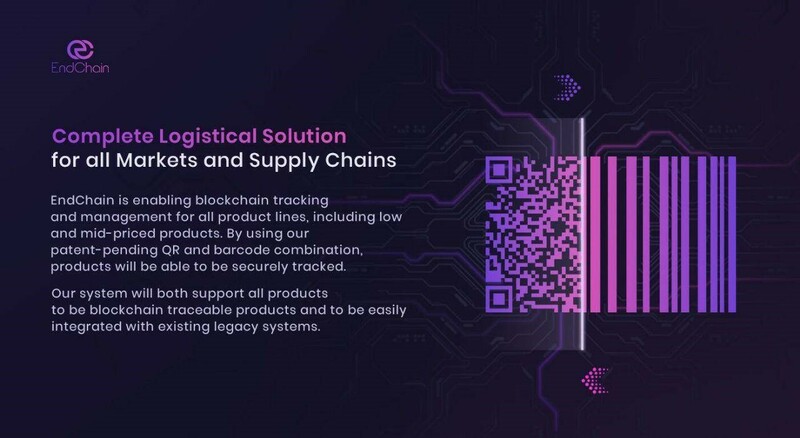 EndChain as a problem solver for the logistics industry with utilizing the blockchain that easy to use for chain supply ecosystem. The logistics are tracking management using out of the date system which doing the goods input manually such as using the paperwork. The logistics service oblige to maintain the goods until receiving in customer’s hand. The tracking is lack of transparency while working. In many cases, the customer receives their order in broke condition, delay for a long time, and nothing detailed information about tracking history. Finally, the consumer feels uncomfortable and disappointed. If the logistics industry still holds the manual system and not being up to date with the newest technology, the logistics service will be left over time by time. The logistics industry should improve their transparency to consumer and producer. They will be comfortable and trust to make a purchase. To fix these cases, several companies combine the logistics systems with the latest technology; there are blockchain, the credit letter, and the delivery receipt. This innovation is offering the benefits for companies to take a risk for luxury goods such as the art, diamonds, gold, handbags, etc. Then, EndChain exists to provide the solution with low shipping costs which can be appropriate for all goods. The responsibility of the logistics service is an important point that should become the priority. The package has a high possibility of broken, lost, delay, or stolen. The companies will face the loss of these incidents. Furthermore, the producer should pay the compensation to the consumer. To overcome the problem, the companies are move into blockchain technology which is adapted to the logistics industry. Through blockchain, the transaction between sellers with the logistic party is recorded permanently. It will be documented and more trusted in shipping — the document named smart contract. The smart contract has the function to determine who the party that must be responsible if there is an accident like stole, delay, lost or broken off the goods while shipping process. Then, the less responsibility also can be seen from the logistic server that didn’t update the tracking information. Some consumers will give the negative review for the seller, they going frustrated because their order status is unclear. This is become the serious homework for logistic management if unwanted to the left over the producer and consumer. Fast operation and communication are a need for the shipping process. The logistics industry should provide a comfortable, trusted, and on time service. The EndChain Company commit to building the logistics management that converting the paper document which is limited on liability into the compatible form for all industry. The data input or verification process of usual logistic can spend much time until the day, but by using the EndChain platform, the verification can be done in several minutes only with no human intervention. The EndChain technology is adaptable for all manufacturer and producer. The base concept of EndChain is to reduce the logistic cost. As we know the logistic cost is very high in this decade. It will burden the businessman or producer. By using the blockchain technology, the cost will be reduced, and the burden of the producer will reduce too. The EndChain platform is completed with barcode and QR scan. These features have a different function that can’t be separated. The barcode and QR code is easy to use in all time and all places. The barcode and QR scan is the great combination which contains lots of conveniences and advantages for people. These advantages can be summarized for two major. The barcode and QR code usage is helpful for the workers. In general logistics management, the worker should arrange the package and verify them one by one. It will consume time too much. Besides that, the manual process not effective to do. For example, first the worker receive the package, they making a paper document for the package, they input the data manually. If in a one day 1000 packages should be verified, the process will not be effective and efficient. By using the EndChain which combining the blockchain technology, these risk can be decreased. Just doing one way to verify the package, scan the barcode. The employee will save time and more productive. After the packages are scanned, the data will be updated automatically on the legacy and blockchain system. The EndChain program will detect the barcode as soon as possible. Then, the detailed information will appear and recorded directly. EndChain was designed with the method that compatible and easy to integrate with another system and store. Such as the B2B and B2C store. By using the EndChain, the transparent transaction will be created; the customer won’t be frustrated anymore. This is a very simple technology that contains significant advantages for people around the world. To secure the data of package, the privacy system should be working extra. The privacy feature of EndChain allows the companies to decide the data that can be entered into the program. The validated data will be encrypted by blockchain then it will build the safety system. Our program can be settled to receive QR barcode of certain or all products. The users can write the key permission as requirements to use the program. The history of order is opened for the customer only. So, the risk of data loss is impossible. By using the EndChain program, the human error factor will, and the privacy will be more protected. The direct communication is one of the EndChain features that allow the manufacturer as a sender giving the message to the logistics service — this feature able to monitor the location of the package and knowing the problem that may occur during the shipping process. Also, the report if the package is received. The direct communication is designed like the private message between two parties. They can communicate about the transportation process. This feature is so beneficial for both and able to improve the trust to the logistics service. This feature has the function to minimize the theft incident that maybe occur to the package. EndChain completed with the theft detector and allowed the customer to get the information about that. The system will mark the potential person who steals the item. The theft can happen during the sending processor when transit. Then the buyer should enter the code number of the item; the system will search the location of the item. Finally, the consumer can report the theft into police. It’s different with a manual logistic system which can’t detect the theft if occur. This feature is really helpful for all parties. This feature can give the manufacturer and transportation create their contract. The smart contract usually contains about the responsibility of both parties if something wrong. The mechanism of making a contract starts with two parties that put the coins. If the goods are received successfully, the coin will return into the most respect parties. If one party is breaking the contracts, they will get 0 coins. The smart contracts also able to save the logistics document in digital form. Then, the document can be used to supply the chain. The supply chain practice is more efficient. EndChain provides the large database that contains all interaction between manufacturer and transportation. The data also include the information about completed transportation. This feature aims to deliver the condition of items. Besides that, these data also become the evaluation for the logistics to identify the problem and planning the solution. This is one of the EndChain commitment to improving the planning and timing of logistic company itself. The big data are also working as a supporter of the coin price. The data will represent the price of a logistics company, include their service fee for a month. The user can choose the object that will be paid by the tokens. Ease of transactions into one of the things that into consideration by users of digital sales. Everyone would want every deal done can be completed quickly. The development of the digital market became one of the things behind the movement from cash payments to digital payments. That should be accompanied by the creativity of the observers of the digital economy in creating a platform that supports ease and security in digital transactions. One of the platforms that are ready to develop and set up a system for digital transactions is Crypterium. The Crypterium team has been preparing an innovation in banking that started five years ago. The change is called Cryptobank. 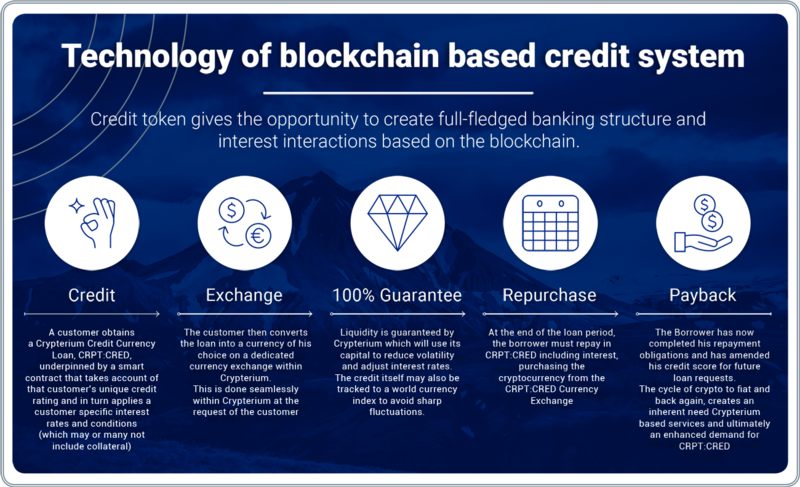 Applying a similar concept to a Traditional Bank, members of Cryptobank can also make payments, exchanges, and loans. In its role to provide convenience to its users, developers prepare a Crypterium app that can be integrated with smartphones. Apps are supplied for all bases like android, windows, and iOS. In a conventional bank, you need a debit card and a credit card to complete a transaction. Besides in a traditional bank to conduct digital trades the user must pass some time-consuming steps. That will be different from the concept offered by Cryptobank. In Cryptobank, each user can use one smartphone only to perform various payments and transactions. The crypto assets of each user can also be quickly checked at any time via the smart digital contract wallet. With the concept of the purse, the system just debits the balance only without having to go through a lengthy process. Every transaction made will be automatically saved into a decentralized system supported by blockchain technology. The use of Cryptowallet also allows users to see all cryptocurrency activities in one place only. Equipped with mobile banking makes it easier for users to create transactions. Crypterium offers an ecosystem that provides high security but supports maximum immunity for each user in the use of funds. The algorithm used in the platform can ensure the right bids for each member of the ecosystem. The history of each transaction performed by the user will be stored in the system and will then be analyzed. The purpose of the analysis is to increase the calculation of risk. Identification of each member’s behavior can also be made through analytical methods. The establishment of the platform was initially intended to create a fast, comfortable, and secure payment process. Any activity that can be done by Cryptobank offers ease and high security. All support can be applied due to the use of blockchain technology with cryptocurrency. The method of the CRPT token should ultimately be generalizable for each transaction or payment. The primary services that any Cryptobank user can perform are purchases and sales of cryptocurrencies and tokens like BTC, XRP, Dash, XEM, ETH, MIOTA, NEO, etc. The value of the applied conversion will be calculated with a high degree of accuracy. International scale transfers can also be made through a blockchain wallet account. Bank cards can also be used to transfer. The exchange and currency conversion between Crypto assets are also included in the essential services that any user can perform. Cryptobank also supports fiat currency transactions. Phone payments, penalties, loans, internet, etc. can also be made directly. Automatic debit is strongly recommended to speed up operations, and any data will be stored in the system. If essential services are still not enough to meet your transaction needs you can use additional services, such as multi-currency transactions that allow you to write multiple currencies at once. Crypterium can assist you by receiving photo submissions from invoices at an extra cost. Crypterium infrastructure users are also charged for QR payments. Services that are still in the process of planning the developer is the acquisition of a traditional banking license so that conventional banking can run side by side with digital investment. Besides, it is also scheduled to be issued interest from income deposits crypto. Banking statements will even begin to be pioneered along with the creation of a payroll account. Along with its implementation, Cryptobank will continue to improve the service and quality of its services. With the Crypterium Cryptobank, it will complete an evolution of cash transactions into digital transactions as a whole. The development of this platform certainly gets a good response from the actors in the digital economy. The development of Cryptobank aims to provide secure payment services with Crypterium mobile banking. Cryptobanking will be the world’s largest payment platform with digital models and support smooth transactions. However, businesspeople may still be unsure of the application of crypto banking with the business being run. That deals with possible sellers who do not have contactless features. For businesspeople, now you don’t have to worry. After spending five years on platform development, the Crypterium team has prepared a unique contactless system for businesses. With the system applied will expand the reach of your business. With innovative technology, your business can easily connect with a digital ecosystem. The range of transactions for a business is probably different from individual purchases. The platform has set some rules for the bank crypto business. The following modules are specific to industries and all sectors. Can be connected with transaction history, currency filter, payment time, payment management details, shopping model to be performed, and new store connection. The method of digital infrastructure is considered cheaper when compared with conventional payments. The global settlement developed by Crypterium provides convenience and lowers administrative costs. Systems that run on the platform can be used as an alternative to achieve an increase in technical knowledge. 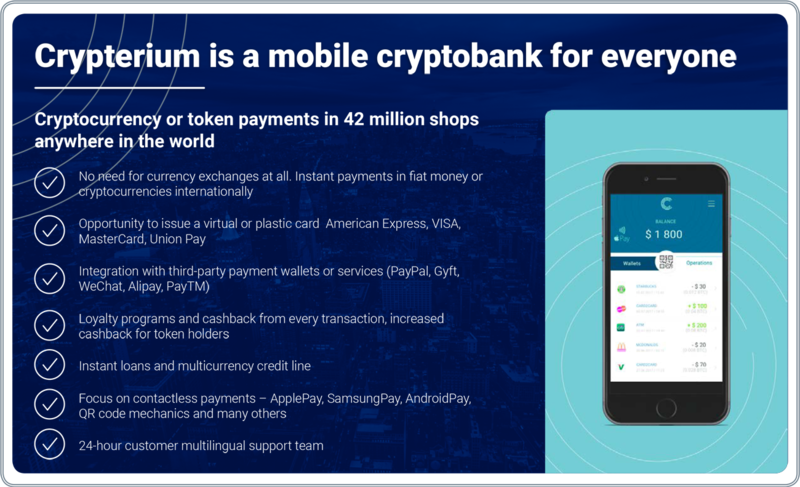 Just the same as individuals who join the platform, businesses also require Crypterium App in mobile phones. Crypterium development uses an API where there will be a role of QR code for transaction payments. QR code scanning will automatically make payments possible. Solutions with QR codes also speed up the checkout process. You can use this service anywhere, even to pay for vehicle parking fees though. The use of the API is not unfamiliar, but the use of a Cryptobank is a very brilliant idea. Crypterium is implementing an opensource platform for the creation of Crypterium API development. Developers believe that the development of Cryptobank users will increase along with the increase of digital transaction enthusiasts. As a current application Crypterium solutions using mobile devices with a more practical purpose because in the digital era everyone cannot be separated from their phone. 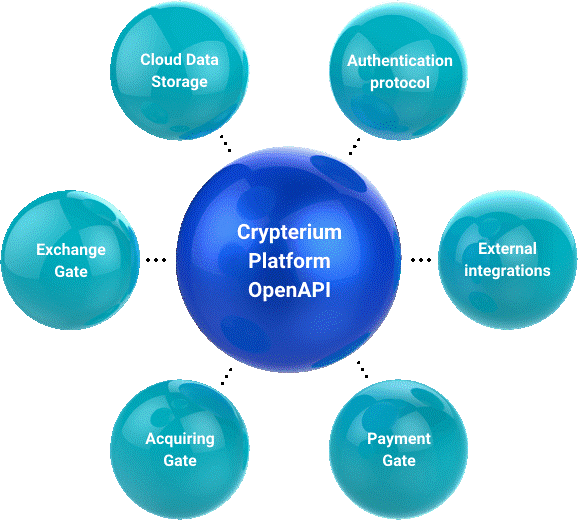 Some services have been developed and provided through the Crypterium API such as wallets, exchanges, loyalty programs, crypto uses for online and offline payments, information retrieval, billing, automatic regular payments, automatic transaction notifications, and payments using tokens and cryptocurrency. All services will begin to be implemented from the start of the platform launch. The frequent addition of services to the platform may occur. Not all services provided by the platform will be resolved in the future. By the time the platform has been successfully implemented it means the developer team has reached the point of success where the creation of a decentralized digital bank. The revolution of the world’s payment system will probably start from the Crypterium platform. So in the future, did not rule out the emergence of another Cryptobank with the same benefits and goals. As a startup platform with five years of founding and development, Crypterium becomes a complete package in providing digital services. The use of cryptocurrency and blockchain technology makes Cryptobank a secure, low-cost digital bank of the future. Cryptobank can be integrated with all kinds of digital currencies to enable exchange transactions. For the development of Crypterium platform will open the sale of ICO tokens. The tokens used in the platform are CRPT’s that can be flexible because they can be redeemed at any time in any currency. Valid and valid money in some countries in the real world can also be redeemed for services provided by Cryptobank. Crypterium mobile application can be the best solution for all sectors. Any digital marketplace platform can be integrated with Cryptobank. Not only that, transactions from any offline store can use Cryptobank for payment. One of the goals of Crypterium in the future is that the running of traditional banks and digital banks are in tandem with integrated systems using better technology. After the launch of the platform, the Crypterium team will continue to develop the service and create new products aimed at providing the best services at a low cost to all communities. Traditional capital markets that are currently underway are considered lacking regarding liquidity. The level of cash has indeed become a problem that is often encountered in conventional asset markets. Realizing that, the founders of BANKEX have a mission to standardize the asset market with a newest technology and create a decentralized capital market. As a way out, then made Internet Assets (IoA) by using the principle of Bank as a Service (Baas). Each technology used aims to realize a revolution of the conventional asset market to achieve an accurate liquidity. APIs in global banking can make BANKEX technology faster, scalable, and new products easily customizable. An economic transformation in the digital age is expected to create a transparent market. The development of smart asset markets is needed for a better market era. By deploying highly experienced teams from banking and capital markets, BANKEX is partnering with blockchain developers to create a better and more profitable capital market. The presence of BANKEX can be the preferred partner that applies smart market contracts more accurately than the less liquid assets market. In the development of the system, the developer team identifies the cash flows from real goods or services. A client’s assets create the use of a third party provider’s cash flow. To protect investors, BANKEX incorporates third-party asset, and cash flow audits in tracking based on the Internet of Thing (IoT) and Artificial Intelligence. The next step to protect investors is to minimize the risk of agents by holding assets in escrow. That can also be done with independent asset sourcing managers or secure assets. Assets are tracked and safely used as a token expense guarantee. 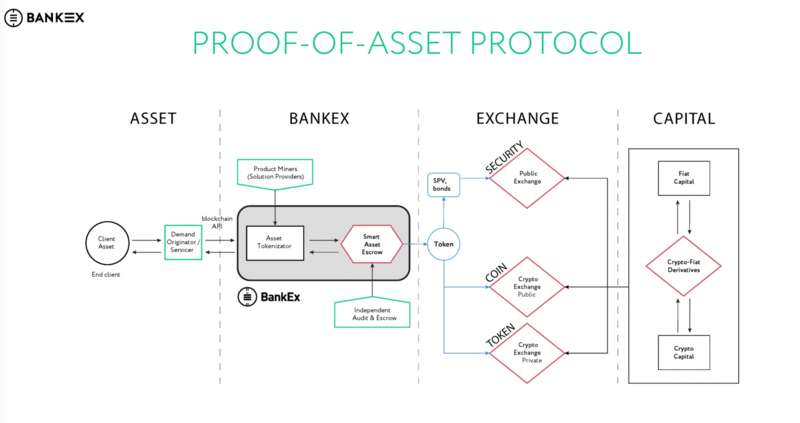 In the BANKEX ecosystem, the token has two meanings as the IOU contract security and as a payment tool utility with the ratio of one token equal to one service. Any payments made may provide an arbitration opportunity. Token used can be supported in the real world either for good or the value of a function. BANKEX’s asset market also plans to trade BKX assets. Trade is made by OTC exchange, corporate and financial organization. This trade also allows the exchange of BKX assets. Each crypto coin is issued BKX protocol. The security used is traded on the stock exchange. The IoT sensor has been integrated into unique technology development by BANKEX and external event into the Proof-of-Asset protocol which enables monitoring of asset cash flows from tokens. The prototype integration has also been demonstrated to apply this capability. BANKEX labs have teamed up with Xiaomi for a family device for the home. 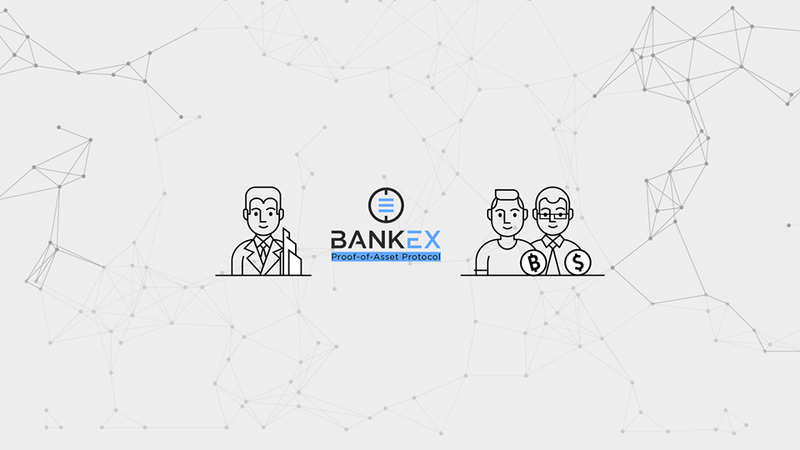 Every product and service from BANKEX has provided the asset owner with access to manage multi-level assets that offer real-time accuracy, convenience, and security. The versatile technology behind the BANKEX PoA protocol has been integrated with various techniques that exist for the realization of services that transcend the real asset tokenization. The ability to integrate with IoT devices is a critical component of the technology. Each IoT device is intended to create asset management that can be merged with Fintech user experience that has never existed before. The Sandbox prototype for smart family homes has been developed by the BANKEX lab with Xiaomi devices to show that real estate assets can be monitored using a variety of different ways. Through Xiaomi’s smart device as the next generation, IO system for exceptional homes offers the convenience and convenience of homeowners in managing the system remotely via mobile devices. BANKEX developed a technology that can access and integrate intelligent dwellings through a platform called DeviceHive. Homeowners can not only control doors, lights and home appliances but can also earn income when real estate is connected. The potential of IoT technology is wide open to provide users with a distinct experience. Various security and convenience offered by BANKEX in IoT utilization. The technology can be used for the realization of real estate. The benefits provided are a new and unprecedented system of existing economic services. The use of IoT is the safety of the next generation in an apartment. By using IoT, homeowners have access to the security of an apartment remotely using real estate owned. Everyone who attends the home can be seen and monitored. With the integration of BANKEX makes the cost of managing real estate more affordable. Owners can avoid third-party security providers in handling real estate objects because they already have IoT tools such as Xiaomi smart devices. Allows to share revenue from home assets, home assets with tokens, and can be used in a shared economy. The Sandbox prototype BANKEX Labs can track doors and windows to identify personal presence at home. IoT sensors will be sent to DeviceHive and then recorded on the blockchain. Through the smart contract, in BANKEX it will make the asset owner can receive an automatic payment. To improve the assets on IoT, it is necessary to have procedures integrated with the IoT device infrastructure. Issuance of blockchain assets can be done using smart contract functions through MetaMask. After receiving the ID, the user needs a backend connection. To connect with the IoT device then the web page will display the QR code that can be scanned by the user through the BANKEX IoT application. Additionally, the QR code can also be examined optionally via the QR scanner application. The app has the deep-linking support that lets applications launch with additional parameters such as asset IDs. Decentralized banking is very likely to be a new source of real assets in BANKEX. Demo versions of BANKEX products have been released to attract the interest of its users in using proof-of-asset protocols. With this new source enabling real assets of the crypto-centric Fintech platform can be available. The purpose of the release of the BANKEX Demo is a test of smart assets using blockchain. Information filled by users will be recorded on the blockchain which will require the role of MetaMask as payment for the transactions made. Once you have created a particular type of smart asset, you will be directed to a more detailed form. Some QR codes will be visible and contain intelligent contract address, asset address, and transaction address. Mobile apps use the concept of the Internet of Things. Given the scanned QR code, you can enable to change or add asset data by using the mobile app. IoT data is used to obtain more accurate information about assets owned and improve the accuracy of asset evaluation results. By scanning QR code you can provide an asset number that grants access to the application to identify the assets you need to attach in the IoT data. All data contained in IoT will be recorded in the blockchain. The BANKEX project has been started since 2009. As time passes, various achievements of BANKEX begin to be achieved. BANKEX has also won numerous awards and obtained funding from renowned investors such as Mircosoft Azure. The BANKEX Pre-ICO token has even reached a fantastic amount of $ 1.5M. With its support for platform development, the roadmap in 2018 to 2019 has been determined. The goal is that the project can run with focus and finish on time. Achievements in 2018 are planned to have a KYC BANKEX adapter. Reported the first commercial plasma and first ISAO smart token sales. The merger of licenses and required permits will also be implemented this year. To increase the strength of the platform is also necessary to create partnerships with several banks and exchanges. Besides, as support for the fintech community, it is required to develop a multicurrency token sale engine. Implementation of the smart, smart conference will also be held in 2018 in Las Vegas. Development of portfolio’s finest management system even began to develop in this year. The event will arrive at the creation of a universal counselor of renewable smart-contracts and will start the BANKEX operation in Switzerland. In this year we will begin to work on interaction methods in the mining product scheme and the launch of cryptocurrency derivatives. In 2019 the mechanism of BANKEX foundation began to be introduced. Smart, independent token for ISAO expansion. The integration of primary conventional banking and crypto economy and launched the standard intelligent token asset creation service. The center for smart asset certification will be established in 2019. Banking licenses will also be obtained this year. Besides, support from the law, companies, taxes, permits from entities for banking services in leading countries should also be achieved by 2019. As a renewable platform with the incorporation of IoT, Baas, AI, and blockchain technologies will make BANKEX a profitable protocol in the asset market. The system offered is also apparent and directed. Having a goal to achieve a high level of liquidity makes BANKEX always ogled by investors. The application of cryptocurrency further supports the security of transactions taking place within the ecosystem. Ease of access from the user-friendly interface of the website and the app made probably increasingly adding to the convenience of each user to transact.